Tussar Silk Designer Contemporary S..
Beads Work Faux Georgette Trendy Cl..
Orange and Red Embroidered Work Tre..
Faux Georgette Contemporary Style S..
Banarasi Silk Thread Work Classic S..
Embroidered Work Silk Georgette Ros..
Thread Work Trendy Saree For Festiv..
Mint Green and Navy Blue Classic Sa..
Embroidered Work Banarasi Silk Tren.. Hot Pink and Orange Booti Work Desi..
Beads Work Faux Georgette Contempor..
Embroidered Work Satin Silk Trendy .. Contemporary Style Saree For Festiv..
Grey and Rose Pink Art Silk Designe..
Aloe Veera Green and Navy Blue Half..
Beads Work Faux Georgette Tradition.. Satin Silk Designer Contemporary St..
Banarasi Silk Thread Work Contempor..
Beads Work Art Silk Classic Designe..
Navy Blue and Sea Green Booti Work ..
Thread Work Silk Fuchsia and Green ..
Thread Work Silk Traditional Saree ..
Embroidered Work Faux Georgette Tre..
Do you wish to look gorgeous in the parties you go? Or do you want to make heads turn in the parties by wearing traditional wear. 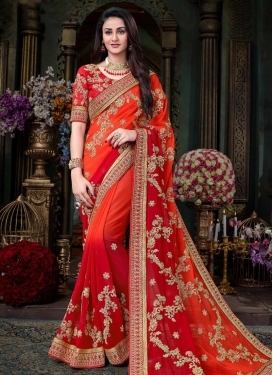 Well, no matter what your dreams are, we can make it true for you with the wide collection of beautiful designer sarees suitable for all kinds of parties. Fashionwebz has experienced and creative designers in the team who design unique party wear designer sarees for the pretty ladies. 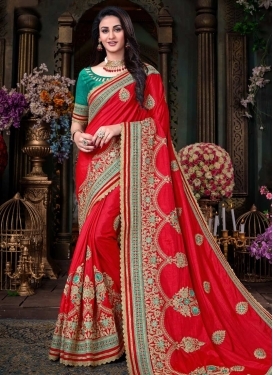 It is easy to buy a party wear saree from Fashionwebz as there are no complications and the website is user friendly. You can start with browsing over the range of sarees we have, select the one you like and proceed with the booking procedure. It is easy and quick! There is no risk associated with buying online party wear sarees from us as we have secure gateway options, and the customer care department is always ready to help you! Our team creates trendy designs which can make you a show stopper at any event. Whether you are looking for chiffon or silk saree, georgette or velvet, we have everything for you in beautiful patterns and quality fabrics. 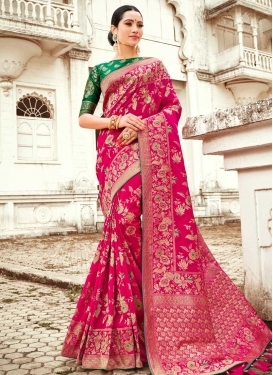 In addition to this, you will be surprised to find highly fashionable sarees at affordable rates. Some of the most popular choices we have are- modern designer sarees, ethnic collection of party wear sarees, half sarees, contemporary style sarees, and lots more to impress you. India is a place where there is no stop to party events such as weddings, birthdays, anniversaries and more. A lady cannot walk in everywhere with the same old saree she has in the wardrobe. Therefore, Fashionwebz brings you a variety of party wear sarees that match every occasion. 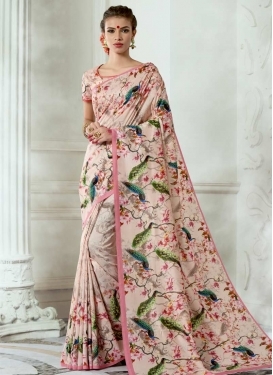 Lovely ladies out there need not have to compromise when it comes to style, they can purchase wonderful designer sarees from us and flaunt in every party. Impress your friends, colleagues, and relatives with an amazing collection of party wear sarees from Fashionwebz!